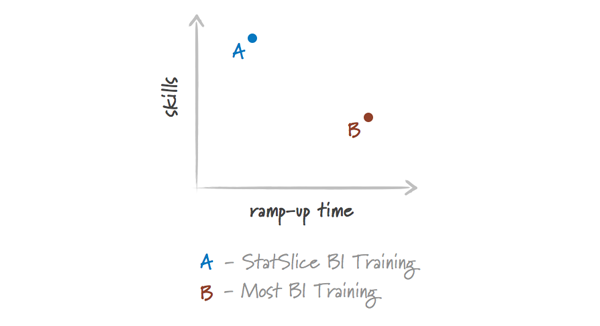 The ramp-up curve for reaching proficiency in business intelligence development can be long. With our experience of mentoring developers and helping our clients build internal development teams, StatSlice can get you up the learning curve faster. Our training programs are taught by senior consultants who know BI technologies inside and out because they have spent their careers building the skills to solve strategic data challenges and continue to do so every day.